‘Mom’ And ‘Guest Iin London’ Didn’t Bagged Much Amount At The Opening Day On Box-Office! Two movies clashed in cineplexes one being Sridevi-starrer ‘MOM’ and Paresh Rawal-starrer ‘Guest Iin London‘. But sadly none of them bagged a good start at the box office. ‘MOM’, the movie registered a quite low opening of Rs 2.50 crore nett. In fact, this year’s hit movie ‘Hindi Medium’ starring Irrfan Khan in the main role, had a similar opening. So, the opening collection of ‘MOM’ is still better than that of ‘Hindi Medium’ as that movie had tax exemption in Maharashtra from the first day itself. The other release ‘Guest Iin London’ had a lower opening of Rs 1.25 crore nett, which is even less than that of ‘MOM’. However, the movie managed to perform better than ‘MOM’ in Uttar Pradesh and Bihar regions due to a wider release there. 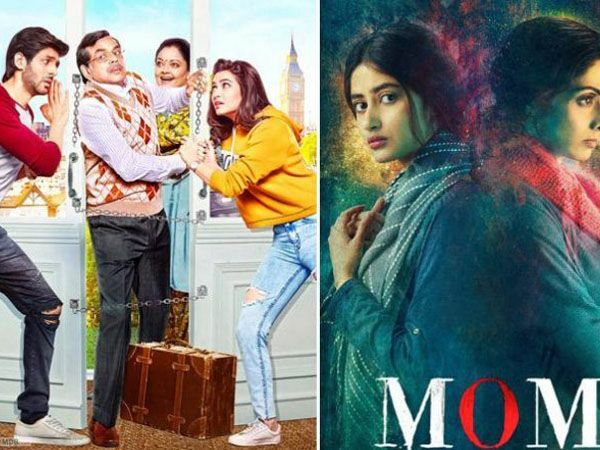 Clearly, ‘MOM’ showed a better opening than ‘Guest Iin London’, but if we combine the gross opening day business of both movies together, then it is around Rs 3.75 crore nett and that’s not really a good number for good celeb films in Bollywood. These two movies should show a good amount of growth on Saturday, but the growth needs to be really high for the weekend to sustain. First Day Collection Of ‘Jab Harry Met Sejal” Is Quiet Moderate! ‘Jagga Jasoos” Had A Good Opening Response On The First Day At The Box-Office, Bagged In Rs. 8.57 Crore!